In addition to looking darn adorable, these pressure cooker egg bites are super delicious and easy to make! Just like Starbucks' egg bites, but better because you made them yourself! Make a tray of egg bites, and you’ll have a protein-packed snack to pop in your mouth whenever hunger strikes! They’re easy to cook using a silicone mold and your Instant Pot (or electric pressure cooker). Egg bites are just what they sound like—crustless, bite-sized, quiche-like rounds of eggs, cheese, and whatever mix-ins you want. They’re tasty, portable, and easy to eat. What’s not to like? How do you make egg bites? 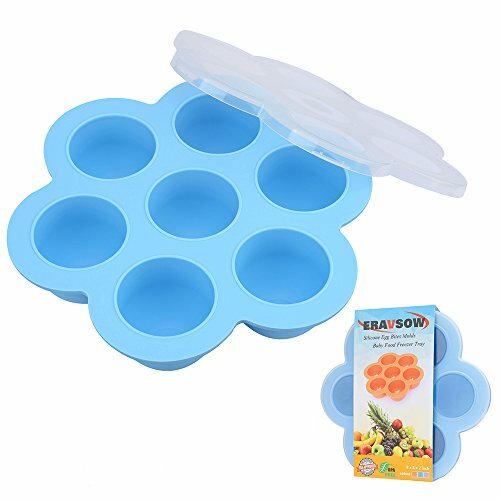 This recipe uses three large eggs to make seven egg bites, using this model of silicone mold. Searching “egg bite mold” on Amazon yields tons of results, and any of the similarly-shaped brands will work well. I prefer to use one mold at a time, since the egg bites tend to come out more evenly cooked and more nicely shaped that way, but you can also double the recipe and stack two molds on top of each other. Just increase the cooking time from 8 to 10 minutes to ensure that the double batch cooks through. Also, be sure to put a round of parchment over the top of both layers The parchment keeps condensation from the lid from dripping down into the bites. What are some good fillings for egg bites? In addition to the eggs, add some cheese and chopped up add-ins to make your egg bites fun and flavorful. I like to blend a mixture of cottage cheese and any soft cheese (cream cheese, brie, Boursin, or even a few wedges of Laughing Cow work great) into the eggs, then stir in some shredded cheese with the other mix-ins. For eggier, less cheesy bites, you can certainly skip or reduce the amount of cheese. If so, you may want to add extra eggs or egg whites to make up for the volume, so your bites aren’t too small. For the egg bites pictured here, I used some (fully cooked) chopped breakfast sausage, bell pepper, and green onions. Egg bites are a great repository for any leftovers, too—think cooked meat or roasted veggies from last night’s dinner. Enjoy egg bites straight out of the pot for breakfast or brunch, or pack them as a high protein, snackable pick-me-up. They’re also great the next day, smooshed onto a piece of bread and warmed in the toaster oven. If you want to freeze them, thaw them in the fridge for a few hours or overnight before gently reheating in the toaster oven or microwave. More Ways to Have Eggs for Breakfast! You can double this recipe and cook in two silicon molds, stacked on top of each other. Place a piece of parchment on top of each mold. 1 Blend the eggs and cheeses: Combine the eggs, cottage cheese, and soft cheese in a blender. 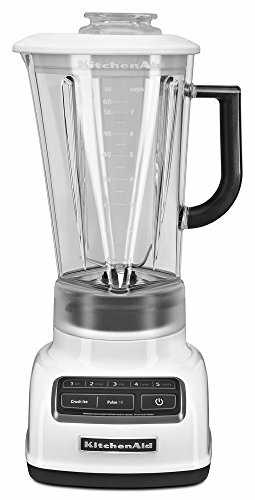 Blend at medium speed for about 30 seconds, until smooth. 2 Add the mix-ins: Pour the blended egg mixture into a bowl. Add the chopped mix-ins and shredded cheese and stir to combine. 3 Fill the molds: Use a small amount of oil or nonstick cooking spray to grease a silicone egg mold, then ladle 1/4 cup of the mixture into each of the impressions in the mold. Wipe off any drips. 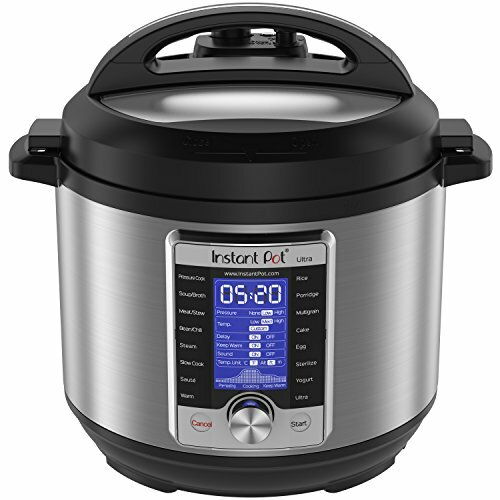 4 Prepare the pressure cooker: Pour 1 cup of water into the Instant Pot or electric pressure cooker. Carefully transfer the egg mold to the wire steam rack, then place an 8-inch parchment round or piece of aluminum foil on top of the mold to keep condensation from dripping onto the bites as they cook. Grasping the handles of the steam rack, lower the egg mold into the pot. The pressure cooker will take about 10 minutes to come up to full pressure. Cook time begins once it has reached full pressure. 6 Release the pressure naturally for 5 minutes: When the timer goes off, let the pressure release naturally for 5 minutes, then perform a quick pressure release by moving the pressure release knob from “Sealing” to “Venting.” It will take a minute or two for the pressure to release completely. 7 Remove the egg bites from the pressure cooker: Wearing heat-proof mitts, grasp the ends of the wire rack to lift the egg bite mold out of the pot. Remove the sheet of parchment and let the bites cool for 2 minutes or so (they will deflate a bit as they cool). Use a spoon to scoop the bites out of the mold and transfer them to a serving dish. 8 Serve the egg bites: While warm, serve the bites (on their own, or with toast or a pile of mixed greens), or refrigerate for up to 3 days in a tightly lidded container. To reheat, microwave very briefly (about 25 seconds, depending on the strength of your microwave). Hello! All photos and content are copyright protected. Please do not use our photos without prior written permission. If you wish to republish this recipe, please rewrite the recipe in your own unique words and link back to How to Make Pressure Cooker Egg Bites on Simply Recipes. Thank you! Hi, Nicole! We don’t currently calculate nutritional information on our recipes. I’d recommend using an online nutritional calculator like this one. Thanks! Tasty, quick, just plain yummy. I used feta instead of cottage cheese. I’ve tried a couple of different versions. My only problem is I washed the silicon mold in the dishwasher & cant get rid of the taste & smell of dishwashing soap! Any ideas?! Oh no! That’s awful! It might just take a few more cleanings before you get the odor to go away. You can also try scrubbing it with a paste of baking soda. Good luck! I blend my cottage cheese with the eggs, so that way you dont know it’s in there. Hi, Denise! Sure, you can skip the cheeses if that’s what you prefer! In the headnotes to the recipe, Coco says that if you skip the cheeses, you may want to add extra eggs or egg whites to make up for the volume, so your bites aren’t too small. Enjoy! You can use half and half or heavy cream for 1/2 cup. And more cheese for the rest. I cooked rough chopped spinach and mushrooms in the bacon fat to add for vegetables. Was excellent. You could sub Greek yogurt. But you really don’t notice the cottage cheese because it’s blended into the eggs. I followed the recipe, used swiss, mozarella, bacon and scallions. Very easy in InstaPot, I used the trivet and metal basket, parchment paper. They came out perfect and tasted wonderful. Easy cleanup, I oiled the mold well! These came out awesome. Will definitely be on rotation at our house. Hi, Phyllis! You definitely need some kind of mold to make egg bites. You could probably use little 4-oz canning jars with the lids removed and just fill them halfway full. Be sure to cook them on top of a steam rack in your instant pot. If you try it, let us know how it turns out! Thank you for mentioning your Ninja Foodi. That’s what I have & I was just wondering how it would turn out in that versus the Instapot. Will definitely try it now!! I have old electric pressure cooker with only 1 pressure i know of. there is reheat setting, might that work? I’m not sure, as I don’t have that type of pressure cooker myself. Oftentimes, brands have the manuals for their appliances online, so I’d try doing a search for yours to learn more about the reheat setting, or contact the company directly if you’re unable to figure it out that way. Sorry not to have a better answer for you! Wonderful!!! Loved the texture and flavor. Great instructions! Thanks! My instant pot doesn’t have an adjustment for high or low pressure. Would I use the steam button instead? Since your Instant Pot doesn’t have a low pressure setting, I’d use the “Pressure Cook” or “Manual” setting, for 8 minutes. I’d recommend only doing one layer of egg bites at a time this way. Hallo,thank you for your recipe. It is easy,simple and delicious. No need for a pressure cooker! These came out perfectly when I followed your suggestion to use a regular steamer rack and steam them with lid on. Your suggestion was in answer to another reader’s question. I’m glad I read it, as I might have tried it in my plain non-electric pressure cooker. Another reader or two describe how that did not work out. Theses egg bites are terrific! Thank you, Coco and readers. Hello! First of all THANK YOU for this recipe. I have 11 chickens and they are in their laying Prime so I have lots of eggs to spare. I am making these now with bits of smoked kielbasa and gruyere, cheddar and bacon, and roasted pepper spinach and gruyere. I blend 6 eggs with ricotta, add the liquid in the mold cavities and add 1 tbsp of meat and cheese to each cup to insure even distribution then stir each cup lightly with toothpick to blend mix-ins. I am giving egg bites containers to my two grown sons who live close by. Finally a delicious solution to my egg overload!! Thanks for another Instant Pot recipe! How could one adjust this recipe if forgoing the added shredded cheese? Should I add more eggs and/or vegetables for the loss of volume? Hi, Twinkle! Yes, Coco suggests adding an extra egg or increasing the other ingredients so that the bites aren’t too small. Enjoy! I have a regular pressure cooker,old fashioned with whistle, will that work? Sure like to make these little beauties. Thanks. Hi Ferdous, As I understand it, the old fashioned whistling pressure cookers get up to a much higher pressure and temperature than an Instant Pot would on its low pressure setting, used for this recipe. I think that this would cause the egg bites to break apart and puff up out of the mold, unfortunately! If you would like to try making these in a regular steamer pot on the stovetop, As Emma explained to Marilyn below, I think that would be the best way to go. And for those of us who do not have an Instapot, how would we do this, because it looks delicious and healthy. I’m in my 70’s and my husband is in his early 80’s and we are both trying to eat as healthily as possible. Thank you in advance. Hi, Marilyn! Unfortunately, this particular recipe is dependent on using a pressure cooker. You might be able to make something similar by placing the mold in a pan of simmering water and poaching them. If you give it a try, let us know how it works out! Ah, I did miss the part about low pressure! They weren’t filled all the way, because I did anticipate some expansion. Thanks, I’ll try the next batch on low pressure. Sure thing, I hope they turn out well next time!